Things are looking grim for the Green Bay Packers. Getting embarrassed on national television at Lambeau Field against a mediocre Lions team has a way of humbling fans. I had thought of writing about all the potential replacements for Mike McCarthy today (as I did a year ago), but that just lead to the Packers saving their season and another year of the same old bad play. So, today I take on the role of an optimist and try to find the positives for the rest of the season. Yes, the Packers defense looked really bad last night. Yes, the defense also looked really bad. And yes, for the most part the special teams was bad. 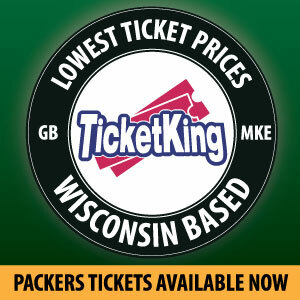 Green Bay still is 4-4 and has a game against the Bears on Sunday that looks very winnable. I’m not confident they can turn this ship around (maybe the Packers are the Titanic Cam Newton was referring to? ), but the last two times I lost faith in the Green and Gold they made it to the NFC Championship Game. With Bryan Bulaga shelved for the rest of the season, Jason Spriggs should get his audition as the Right Tackle of the future. 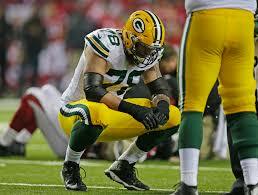 Spriggs was awful in the preseason, but all young offensive linemen need patience and reps (just like TJ Lang). Vince Biegel needs to be given every opportunity to play, with Clay Matthews likely seeing his last action in Titletown. It would be really helpful if they would stop giving Biegel’s reps to Kyler Fackrell, and settle on something more productive (like a box of Kleenex). Kevin King and Josh Jones should be given as much playing time as the team can give them. Their development will be crucial towards having a solid secondary in the immediate future. HaHa Clinton-Dix should get a run, and if he continues his awful play, the Packers should look to move on. If the Packers are going to be awful anyways, and Mike McCarthy showed no willingness to run, they need to let Brett Hundley throw the ball. He looked incredibly tentative in the New Orleans game and in the first half last night. I initially attributed that to Hundley, but the way he played in the second half (granted against a lot of soft zone) was so much more decisive and productive. I have all but given up on getting draft compensation for Hundley, but I want to know if he is going to be trustworthy as a backup for next year. I’m still not sure if Mike McCarthy will be the Coach next season. Part of me would like to see a young coach come in to breathe some new sense of life into this team (and a young defensive coach would be even better). But Dom Capers has to be gone. I’m not an advocate for coaching changes mid-season, but the Packers defense is so predictable that I can identify what they are doing pre-snap. The game ending screen pass to Theo Riddick was against a defense front that gave away their blitzing lanes before the Lions were even set on offense. Matt Stafford quickly identified the front, checked to a screen, and scorched the Packers’ defense. Capers schemes have traditionally held up, but he has been out of his element against modern offenses for a few years now. The change needs to be made sooner rather than later. I don’t believe Aaron Rodgers will be making a return this season. It may be time to take one on the chin, get a high draft pick (I’m going to start scouting pass rushers this week), and reset. Aaron Rodgers is in his prime, and the Packers could set themselves up for another 5 year push to greatness with some smart moves in the offseason. Unfortunately, that may mean going through the pain of a bad season for the first time in eight years. This entry was posted in Andrew Mertig, Packers 2017-2018 Season and tagged Brett Hundley, Green Bay Packers, Jason Spriggs, Josh Jones, Kevin King, positives, Vince Biegel. Bookmark the permalink. How confident are you that Aaron Rodgers will signs a new contract? Everybody talking about making major changes from Ted Thompson, to Mike McCarthy , to Dom, to many veteran players. Why would/should Aaron Rodgers stay? I bet The 49rs easily make him the highest paid player in the league. Aaron would be back home . The Packers blow this whole thing up, they better be sure they have Aaron Rodgers signed to an extension! Rodgers has 2 years left on his contract after this season, plus the 49ers just traded for Garoppolo. Big changes are more likely to keep Rodgers around as long as they are geared towards winning now. And contracts are set in stone? TT would do it for multiple late round picks! Lol. He’s that dumb. Like a contract had never been broken! I can’t disagree at all with you! Exactly what I was saying. Rodgers staying with mediocrity around him? I wouldn’t. I hope they wake up now!! Rodgers leaving would be like the years between Starr retiring and then getting Favre; a long, cold drought fans! ! Rodgers hasn’t been offered any contract yet! Okay TT, be very careful, he may just play ii out and go elsewhere. I would hate seeing this, but could you blame Rodgers if he went to another team with a great offensive line, running back, and an above average defense? I wouldn’t. If Rodgers leaves it would be the ice age for the Pack for many years…..
TT. Will trade good players for more lower round draft picks to develop. Develop? Nor with our coaches! You’re right, we need a fresh breath of air from TT, MM, and DC. Continental with the same you’ll get the same result. Frustration every year. As far as Rodgers, would you stay with the management, coaches and team put around him? It’s got to be a big downer HOF QB, one ring???? ?